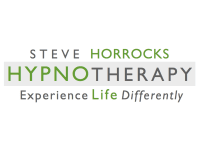 I’m a full-time professional clinical hypnotherapist operating from private hypnotherapy clinics in central Norwich and South Norfolk. “He filled me with confidence”. We offer free face-to-face initial consultations, either as stand-alone appointments or combined with an hour-long first hypnotherapy session at a discounted rate. At the end of your initial consultation I will provide you with an estimate of the number of sessions that I consider we are likely to need, based on the information you have shared with me. Modern hypnotherapy can be seen as a way of supporting people gain more control and freedom in their lives in areas that they cannot seem to positively affect long-term through conscious determination and will-power alone. By focussing on what we “do want” rather than what we “don’t want or fear”, hypnosis and hypnotherapy can help us to experience life differently. If you would like to know more about me, my approach to hypnotherapy, or to arrange an appointment, I would be delighted to hear from you.